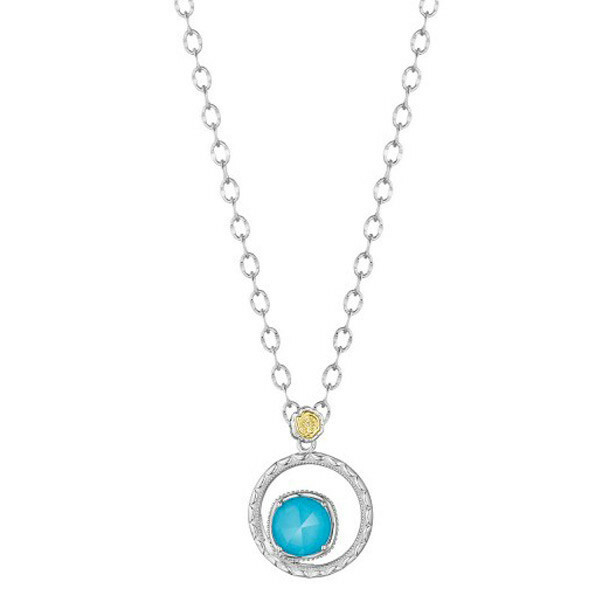 This circle pendant necklace is from Tacori's Island collection. It is set in magnificent sterling silver and features clear quartz over neolite turquoise for a darling combination. Embrace this necklace with a design so soothing, you'll feel like you're in paradise when you wear it.